Enterprise Infrastructure Solutions simplify your data center, making it more energy and space efficient while being less expensive to operate. Zunesis can help transform your current infrastructure to achieve your business goals through a common, modern IT architecture. Since our inception in 2004, our core strength and expertise has been providing IT Infrastructure Services. This includes the ability to help clients design, implement, and manage best-in-class enterprise infrastructure solutions. Employees, partners, and customers all rely on the IT infrastructure to effectively connect, communicate, and innovate. Over the last decade, IT infrastructures and data centers have become more strategic than ever—they are improving productivity, enhancing business processes, and accelerating change. Enterprise Infrastructure Solutions are the strategic enabler of IT efforts to protect, optimize, and grow the organization. Zunesis offers engineering and IT architectural services to help design, optimize, and consolidate data centers. These consolidated data centers provide greater ease of management and are more efficient in their use of power and data center floor space. Let Zunesis help you sift through the marketing fluff and get to the meat of the matter—your business needs. Download this white paper to learn how converged infrastructure is changing the landscape of IT—for good. Many organizations require a fully integrated infrastructure to handle virtualized workloads. Recent advances in data center virtualization and integrated hardware and platforms have made Hyper-Converged Infrastructure a consideration for many organizations. Zunesis offers engineering and IT architectural services to help design the most optimized and efficient data center possible. Zunesis offers IT Infrastructure Services that create hyper-converged infrastructure solutions to provide greater ease of integration & management and data centers that are more efficient in their use of power and floor space. A hyper-converged infrastructure appliance allows for greater resilience and scalability. Let Zunesis provide you with Enterprise Infrastructure Solutions to help you sift through the marketing hype and get to the meat of the matter—your business needs. 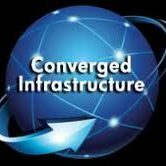 Our hyper-converged infrastructure products can help transform your current infrastructure to achieve your business goals while taking advantage of the latest developments in hyper-converged infrastructure and highly virtualized data center technologies. HPE Business Critical Servers (BCS), x86 Servers, and state-of-the-art MoonShot servers create a strong portfolio of computing resources to address any data center compute requirement. Zunesis and our IT Infrastructure Services, can help you design the right computer architecture and converged infrastructure for your applications and business needs. Server Virtualization: By virtualizing data center infrastructure and decoupling applications and data from the physical resources they run on, IT can deliver and maintain data center services more efficiently, resiliently, and dynamically. Zunesis is an Enterprise VMware Partner. We provide our clients with the latest innovations and efficiencies possible in Virtualization and the Optimization of their VMware environments. Look to Zunesis to help you design fail-over and replication strategies using VMware’s Site Recovery Management (SRM) and also to help your organization maximize the reliability of your environment with VMware vSphere with Operations Management (vSOM). How else can our Enterprise Infrastructure Solutions lend a hand? Zunesis can also help your organization automate common processes and provisioning activities through VMware’s Automation software. Engage Zunesis to help your organization design and implement a highly virtualized computer infrastructure that will stand the test of time. Whether your business goal is data center consolidation or build-out, business continuity or improved regulatory compliance, Zunesis will help accelerate your transition to a highly scalable and secure networking platform. Our partnerships create a strong portfolio of IT Infrastructure Services and world-class products to support the networking and security needs of our customers. Aruba Networking – Aruba’s campus switching portfolio spans the access layer to the core and creates the intelligent foundation of the digital workplace. These modern programmable switches are scalable, secure and integrate seamlessly with Aruba’s industry-leading security and network management solutions. Aruba Wireless Networking – Provides 360 security by combining ClearPass network access control with behavior analytics-based attack detection and alerting for a complete solution that secures your organization from malicious threats. Unique in the industry, the Aruba Access Points are powered by ClientMatch technology—making sure all devices have the fastest connection at all times. Extreme Networks – Extreme Networks Software Defined Architecture includes networking infrastructure (wireless/campus, data center) and value-add Extreme software solutions (NetSight, Purview, SDN). Extreme Wireless Wave 2 access points (APs) are optimized for high-density deployments to address the network demands driven by mobility, smart devices, and the exploding wireless enabled internet of things (IoT). Fortinet – Industry leading security products include high performance firewall and VPN products, next generation firewall, advanced threat protection, unified threat management, and web and email content filtering. All IT organizations desire the ability to support their business with IT resources as quickly as possible. Zunesis has the Enterprise Infrastructure Solution you need. Today, technology and tools exist that allow organizations to automate many of the repetitive IT administration and provisioning activities. Zunesis has proven expertise in VMware and Azure. These solutions offer the automation, monitoring, self-provisioning, and orchestration capabilities required to implement a private cloud. Set up a time to visit the Zunesis labs to get a demonstration of how these solutions can increase your cycle time for provisioning IT resources while improving availability, reliability, consistency, and security. Zunesis brings extensive experience and expertise in Microsoft infrastructure applications. We can help you migrate to a new version of Windows, Exchange, or Active Directory (AD). One of the greatest values we provide to customers is our Active Directory Health Check. This simple and quick IT Infrastructure Service provides robust information to help ensure that your Microsoft environment is running its best. Since everything begins and ends with Active Directory, we have learned over the years that getting AD configured correctly is essential to a successful Microsoft operating environment. Zunesis has also successfully moved many customers to Office 365 to leverage Microsoft in the Cloud. Our proven project methodology combined with strong project management allows Zunesis to take on complex Microsoft projects. Zunesis can provide these services to your organization as turn-key where we provide all the resources, or we can work in partnership with your IT personnel to deliver projects together. Either way, Zunesis can provide strong technical and project management leadership to ensure that your migration to Office365 comes off without a hitch. Call Zunesis and access our Enterprise Infrastructure Solutions today!